If you have read the first three posts on this blog, you’ll understand some of what is going to happen at the WinchBiz Unconference. There’s less than a week to go, and ideas for sessions are already well underway. CitizenLab makes it easier for people and businesses to make suggestions directly to Winchester City Council, and to indicate whether they support or dislike ideas. Just like the Unconference itself, CitizenLab allows direct communication to the council about the issues that matter to businesses of all sorts across the District. Just because an idea has been raised in CitizenLab doesn’t automatically mean it’ll be a session at the unconference. If you want your idea to be discussed at the unconference, please pitch it (or ask someone else to pitch it on your behalf). 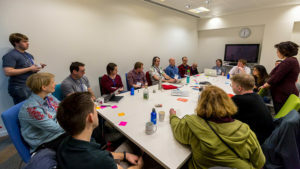 This post discusses how an idea raised in CitizenLab might go on to form part of the unconference, and gives a bit more detail about how sessions work. 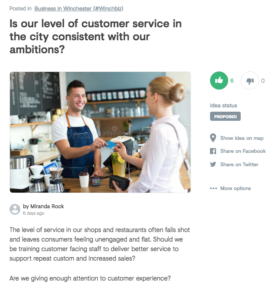 I’m using a real idea which was suggested in CitizenLab: Is our level of customer service in the city consistent with our ambitions? The person who pitched the session introduces the topic, and sets the scene. There’s no hard and fast rule on how to do this, but the introduction normally takes just a few minutes, and quickly turns into a discussion. The session pitcher might wish to ask some leading questions to help get the conversation started. Sometimes there is a quick ’round-the-table’ where participants introduce themselves and say why they are interested in the topic. There will be a facilitator on-hand to help ensure the session runs smoothly. They may sometimes step in to ensure that everyone who wants to is given the opportunity to contribute to the discussion. Help! Can you lend a hand? With over a hundred people and businesses registered, there will be lots of lively discussion, and we don’t want to miss any key points or ‘nuggets of wisdom’. We already have some volunteers to help take notes during sessions, but we need a few more. Can you help? Ideally, you’ll have a laptop, but we are using Google Documents, which can be accessed by anyone with a suitable device: laptop, tablet – or even a smartphone. There’s a separate document for each session, which can be accessed from the Session Grid. By no small coincidence, the topic will be “Unconferences”. 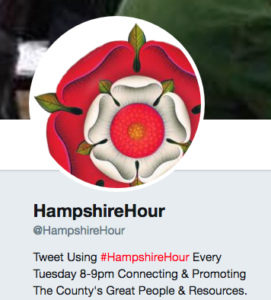 Come and join in 8-9pm Tuesday 27th February.